Noting that a 20 minute cassette EP was issued in 2015 under the same name, this is not a simple re-release on a new format, rather it represents the augmentation and expansion of that material into a 44 full length album (…through the inclusion of 4 new compositions and a reworked version of the opening track). 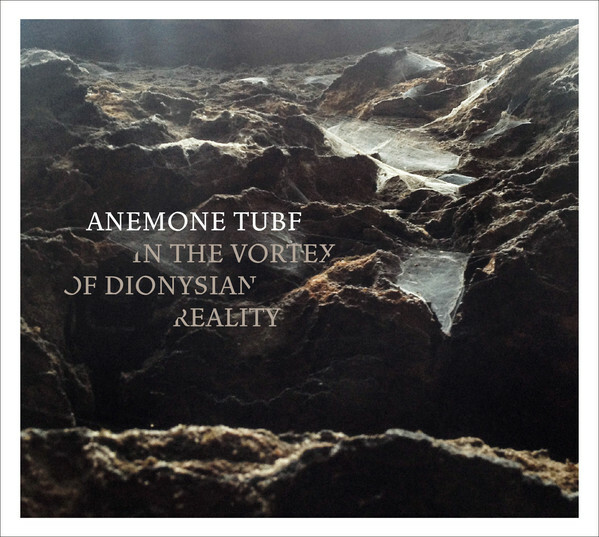 Within the review of the original tape (located here), some of the observations made included: “…it is a further display of Anemone Tube’s particular style of harmonic/ disharmonic infused dark ambient/ industrial music”; and that it was a: “…demonstration of Stefan Hanser’s ability to create deeply evocative soundscapes built around melodious elements, sculpted field recordings and squalling feedback”. Those comments still stand here and equally can be applied to the new material which follows the same sonic template. The entire album has then been re-mastered by Hunter Barr (of Knifeladder, Black Light Ascension etc. ), which has given it a notable different in sonic edge when compared to tracks features on the original tape (i.e. a tonally sharper yet more spacious mix). Without going into a track by track breakdown, the material based around a blend of looped and processed field recordings and orchestral oriented synth pads which combine to creates an overall mood which is beautiful, tragic and forlorn in equal measures. A dual nature to the sound is also displayed through the balancing of disparate elements, where compositions are underpinned harmonic synths, and then offset by washes of higher pitched disharmonic noise and tonal drones. With the inclusion of 4 additional tracks, these fit seamlessly into the framework of the balance of the tracks, and never stand out of feel like awkward additions (…in fact I had to compare the run order of both the original tape and this CD to work out where the new compositions had been inserted). As for the final album track ‘Like The Streaming Of A Giant River, Life Is Passing, Without Ever Turning Around’ this is contributed piece from the Ukranian project Monocube who have composed their track from field recordings made by Anemone Tube and slightly deviates in sound based on this external influence and input, given it is more geared towards a ritual and tribal infused drone type approach (…although the harmonic/ disharmonic elements retains a familiar edge). Presentation wise, the 6 panel fold out sleeve is beautifully designed at the hands of Stefan Hanser (aka Anemone Tube), and includes quotes from Friedrich Nietzche and Friedrich Schlegel to further flesh out the conceptual framework of the release. Another excellent addition to Anemone Tube’s discography. Note: An LP version is also available but features a different/ replacement second track. This entry was posted in 2017, Blossoming Fern, dark ambient, experimental, industrial by noisereceptor. Bookmark the permalink.